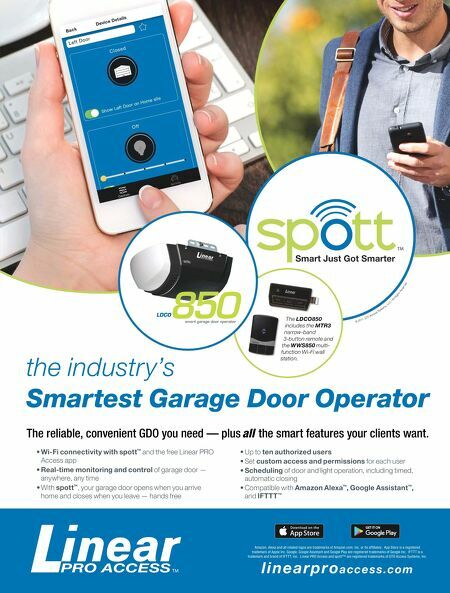 • Wi-Fi connectivity with spott ™ and the free Linear PRO Access app • Real-time monitoring and control of garage door — anywhere, any time • With spott ™ , your garage door opens when you arrive home and closes when you leave — hands free • Up to ten authorized users • Set custom access and permissions for each user • Scheduling of door and light operation, including timed, automatic closing • Compatible with Amazon Alexa ™ , Google Assistant ™ , and IFTTT ™ The reliable, convenient GDO you need — plus all the smart features your clients want. 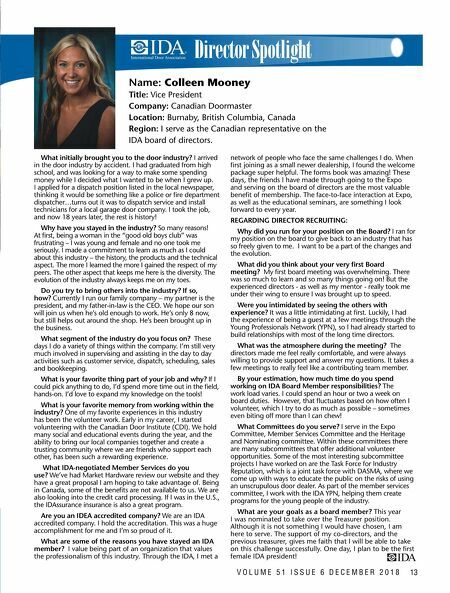 l i ne a r p r oa c c e s s .c o m the industry's Smartest Garage Door Operator © 2017 , GTO A c ce ss Syste m s , LLC / A ll Ri gh ts Rese rv e d Amazon, Alexa and all related logos are trademarks of Amazon.com, Inc. or its afliates. App Store is a registered trademark of Apple Inc. Google, Google Assistant and Google Play are registered trademarks of Google Inc. IFTTT is a trademark and brand of IFTTT, Inc. Linear PRO Access and spott™ are registered trademarks of GTO Access Systems, Inc. The LDCO850 includes the MTR3 narrow-band 3-button remote and the WWS850 multi- function Wi-Fi wall station.